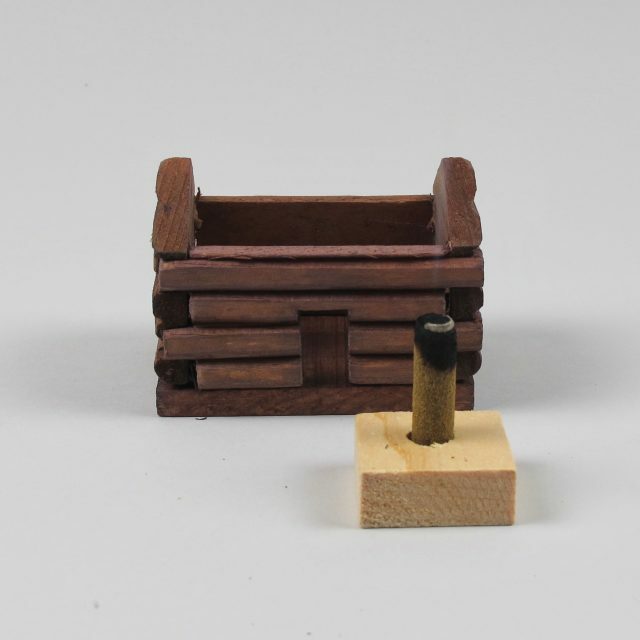 These dinky incense log burners are made by the Paine Incense Co in Maine and come complete with 10 incense logs to be used with it. 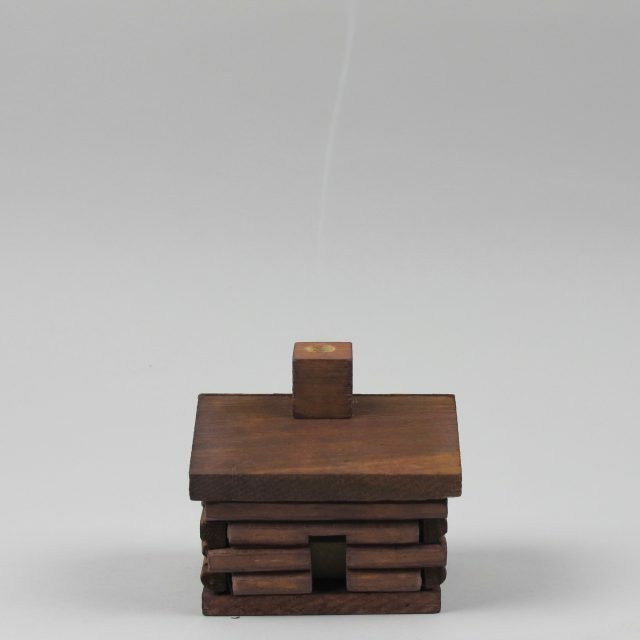 The smoke from the incense will spiral out of the chimney of the building. 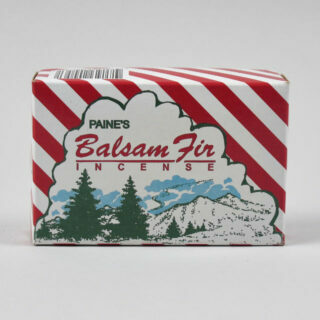 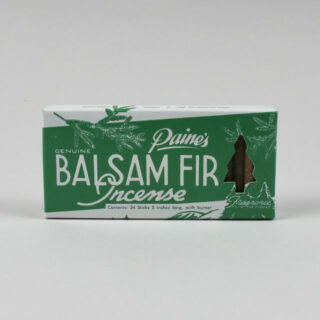 The incense is made from the tips of the Maine Balsam Fir Tree and release the aroma of the Maine woods as the incense is burned. 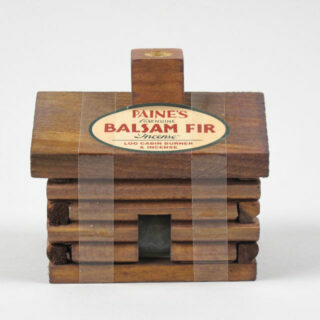 The burner should not be placed on a surface susceptible to heat. 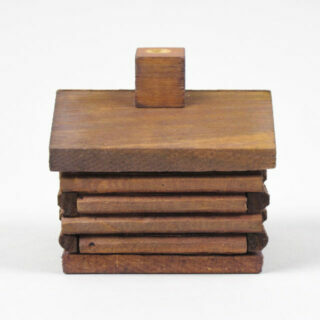 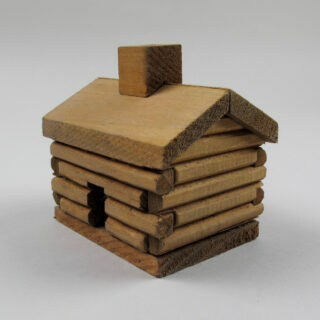 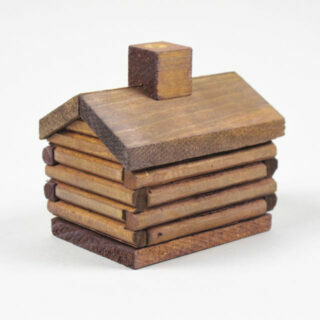 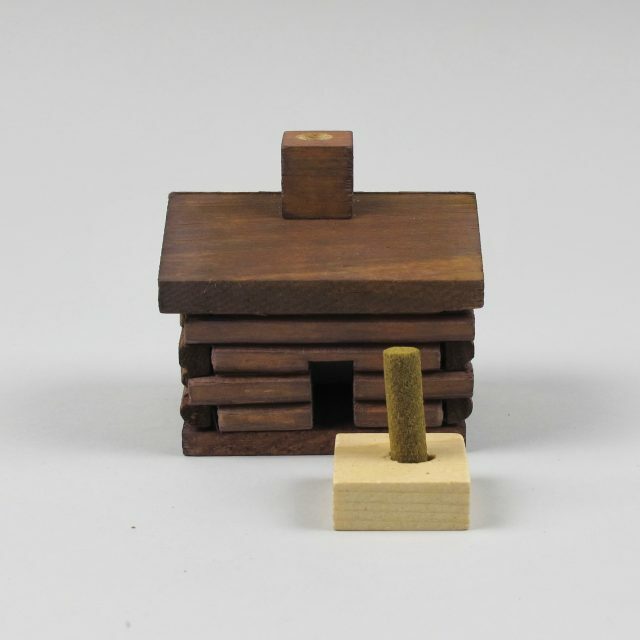 Comes with a stand for the incense to sit on within the cabin.